A few weeks ago, I had a meeting that was supposed to be uneventful, but it left a lasting impression. The meeting was with the CEO of a small company in downtown Boston. On my drive into Boston (about 25 minutes) I reflected on how much I value these kinds of meetings. In this case, it had taken a few months for us to find a date that would work for both of our schedules. I looked forward to meeting this fellow CEO. When I walked into the company’s offices, I was immediately impressed. It was the kind of office that says a lot about the company: modern conference rooms, open-style workstations, colorful walls, and a whole lot of smart-looking people that looked genuinely happy to be at work. The CEO took me for a tour of the facilities — which included a design firm that worked within the company (not affiliated, they just shared space), and an artist-in-residence (you know, the kind that actually paints art). Very cool. The CEO and I spent about an hour talking about our respective businesses, and there were more than a few tidbits of information that I filed away for future use. The CEO was amiable, personable, and genuinely interested. He struck me as the kind of person who doesn’t just listen, but was actually empathizing with my daily struggles. It was great to have lunch with someone who really understood me. Days later, as I sit here writing, his words are still ringing in my ears. Why? Because the greatest praise an entrepreneur can get is from another (successful) entrepreneur. So today’s meeting was not just another meeting. Yes, we ate. 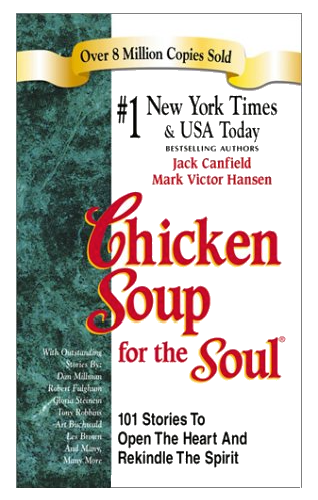 But I also got a full serving of chicken soup for my entrepreneurial soul. And it felt good. Entrepreneurs come in all shapes and sizes. I’m lucky that people value my expertise and that I’ve been able to get to know various businesses. For example, my friend Colleen runs MathPlayground.com which has math games for all ages and grades. She comes from an education background where she taught 3rd grade math. And talking to her helps me remember that the thing that binds entrepreneurs is a belief that if you work hard enough, it will eventually pay off. I believe in good karma and paying it forward. I can only hope that I’ve helped inspire many hungry entrepreneurs along the way. Starting a company is lonely. My recent meeting was a good reminder of just how important it can be to help feed a fellow entrepreneur’s soul.